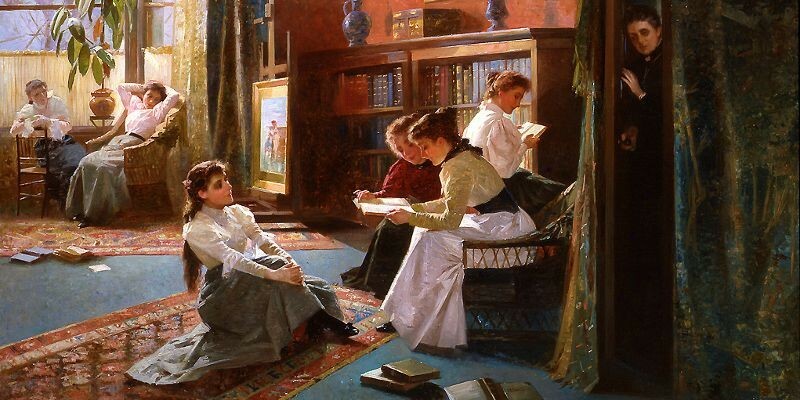 Mostly Victorian reading, but you never know what's going to show up here!! "You mean to tell me...that Absinthe, -- which I have heard spoken of as the curse of Paris, -- is a cure for all human ills?" Well, I must say there's nothing like adding a page onto one's reading journal and then putting nothing on it for over a month. I got sidetracked with Jan Potocki's magnum opus The Manuscript Found in Saragossa, a true behemoth of a book, as well as a week away from home and other distractions. "no intelligent reader could enjoy Corelli's books and that her 'appeal' was only to the 'unthinking classes.' 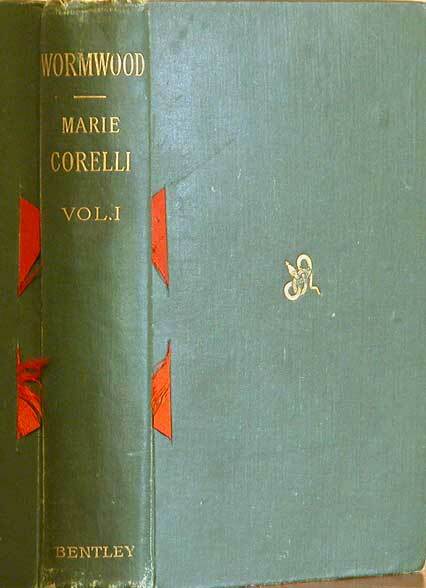 "
"Corelli was also admired, at least for a time, by some of the literary and theatrical lights of London: Oscar Wilde asked her to write for Woman's World, she was introduced to Robert Browning and Algernon Charles Swinburne, Ellen Terry adored her, and Lillie Langtry asked to perform in dramatizations of her novels." 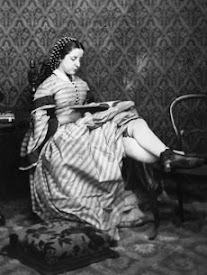 She also "broke all publishing records:"
Corelli was also admired by no less a personage than Queen Victoria herself; Sutherland says that while In the 1890s her work was actually "boycotted by several journals," at the same time, her novels were "devoured" by British and American readers "as fast as they appeared." 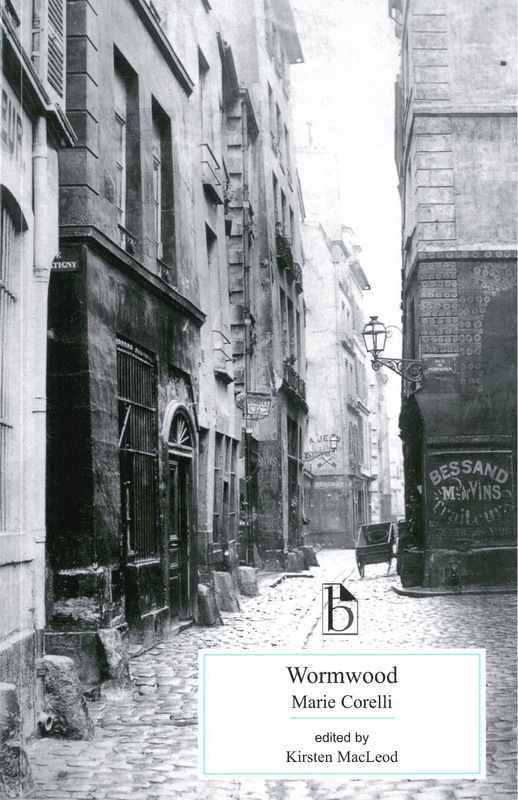 "a lurid tale of unrequited love, betrayal, vengeance, murder, suicide, and addiction"
which just about covers the plot in its entirety, but it is also her look at some of the more decadent aspects of Parisian society of the time. 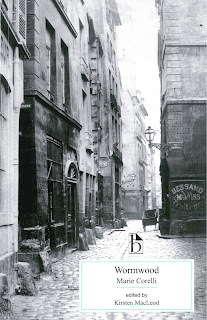 In her preface to the book, Corelli asks her readers to consider that the spread of "French drug-drinking" might just become as "à la mode" as French fashions, habits, books and pictures that have become "particularly favoured by the English." "She is sweet, she is good, she is a little angel of beauty; but she does not understand what love is, she cannot even translate the passing emotions of her own heart"
"quench mad passion -- if it could kill love! -- if it could make of my heart a stone, instead of a tortured palpitating sentient substance --..."
" are the degradation of Paris, -- the canker of the city -- the slaves of mean insatiable madness which nothing but death can cure." What follows is a look at a man spiraling down into the depths and the effect of his addiction not just on himself, but on everyone in his orbit. I loved this book, melodramatic as it can often become, and couldn't get enough of it. If I'd read it in 1890, I probably would have joined the ranks of those "unthinking" suburban readers eagerly awaiting the release of Corelli's next novel -- this book has everything. Wormwood is neither stodgy nor dry, it has all the hallmarks of the best, most scandalous sensation fiction, and fits in nicely with Decadent tradition, despite the fact that Corelli implies it as an attack on fin-de-siècle French society. That is just one contradiction to be found in his novel -- another example can be found in Corelli's own use of the Naturalist style while making it quite clear that she deplores it (she lets loose on Zola more than once here), but then again, she may have done it this way on purpose. 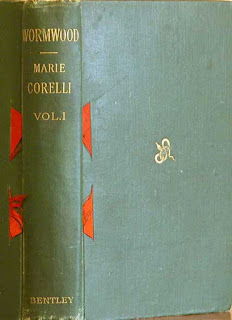 As Macleod says in the introduction, up until the time she wrote Wormwood, Corelli's books were all the kind "associated with women readers and writers;" in taking on the style of Naturalism, "a 'masculine' literary genre," she had hoped it would "earn the respect of the male-dominated literary elite," perhaps to show them that women writers could move beyond simply writing novels enjoyed mostly by other women. 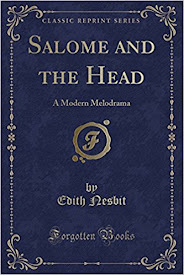 Anyone who has it in his or her mind that Victorian fiction is positively dull really needs to read this book. Trust me, it is anything but. feel free to say what you like, but do be nice about it! !